Have you ever bought anything off TV? 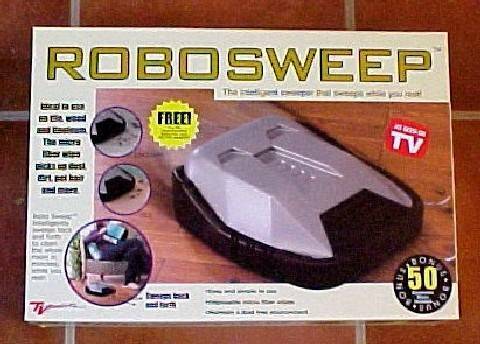 After buying an iRobot Roomba (a vacuum cleaner so cool that you have to go and clean your friends' houses as well), I saw this "RoboSweep" advertised. only $39.99! "ROBOSWEEP - The intelligent sweeper that sweeps while you rest"
"Robo Sweep intelligently sweeps back and forth to clean the whole room in minutes, while you rest!" Ok, this thing really feels like plastic and weighs nothing. It is covered with little Velcro spots to hold the 'wipe' and has almost no ground clearance. There are two little wheels at the back which just free-spin (not motor driven) and some kind of steering turret near the front. No visible sensors from the outside. I installed the 4 x AA rechargeable batteries and plugged it into charge (recommended 6 hours). After 6 hours I installed a wipe and let it go on my kitchen floor. It crawled (and I mean crawled) off as I just stood there waiting. After an excruciating minute it finally reached the wall and it slowly turned around and started off in a new direction. The stopwatch test - it screams along at the blistering rate of a foot every 3 seconds... it would take it a minute to just reach the other side of of a 20 foot living room. After another minute I was so bored that I picked it up to see what it had done. the wipe was completely clean but it was starting to push dirt in front of it. The ground clearance is so low that the dirt can't go under it to reach the wipe! I wonder what kind of processor this 'intelligent' robot has in it? So how do this thing pretend to work? 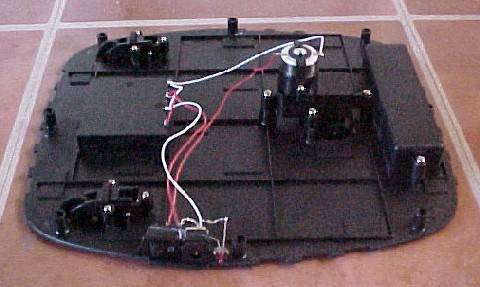 There is a small plastic gearbox that works a bit like the differential in a car. 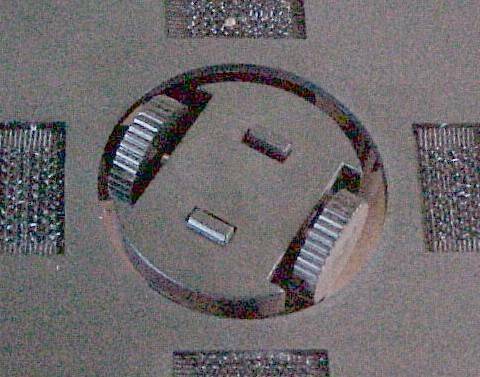 If the robot is on the ground then the gearbox turns the little wheels and the robot moves forward. When the robot gets stuck the force of the motor has to go somewhere and the gearbox 'slips' and rotates the turret instead (until the wheels start moving again). 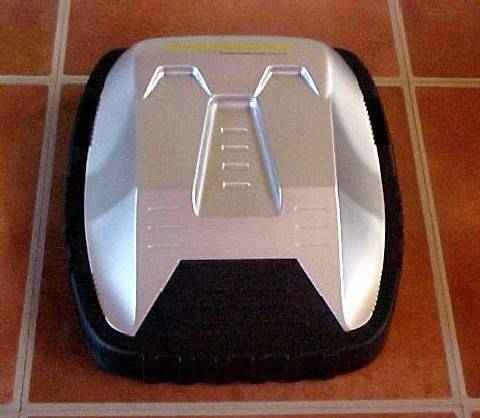 Anyone want to buy a slightly used RoboSweep? 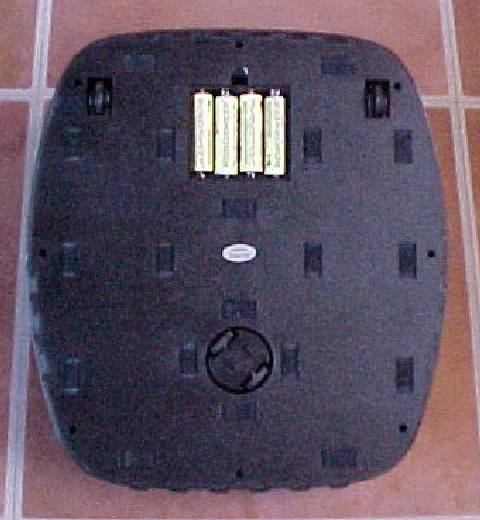 Roomba and iRobot are trademarks of iRobot Corporation.